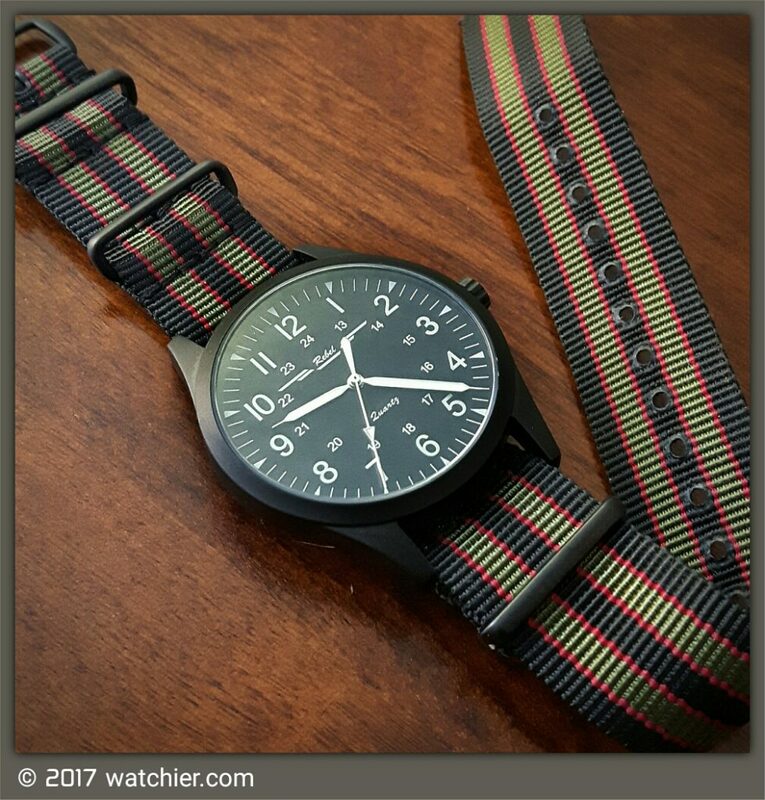 I met one of Mexanica co-founders online, he is a fellow watch enthusiast having a daytime job to pay his bills; after exchanging few messages, he sent me one of the Rebel1’s watches for review. 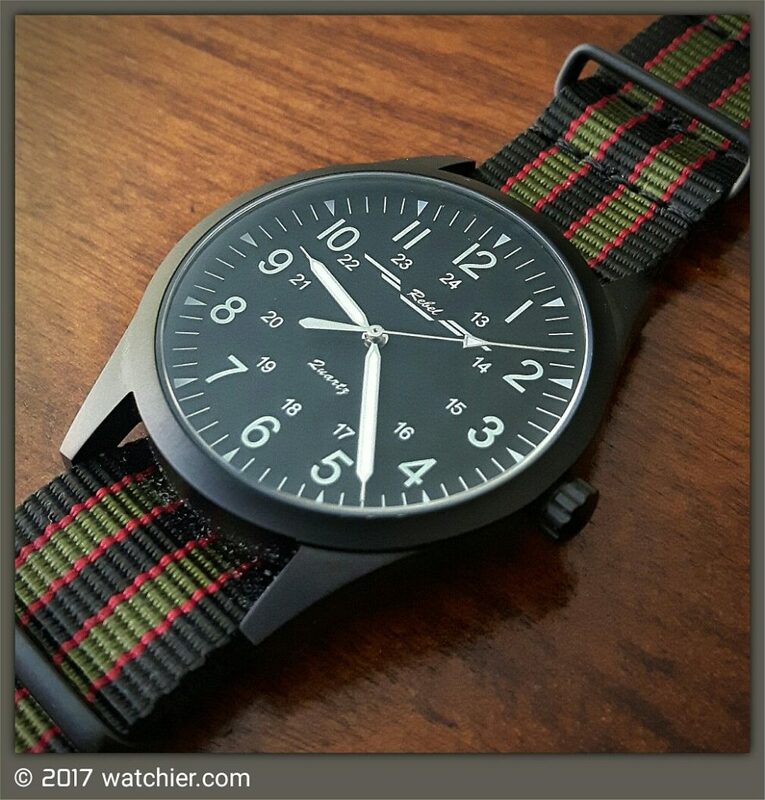 The watch arrived on a real leather zulu, and as I’m not a big fan of zulus, I dumped it for a bond nato with pvd hardware. My first impression is that the case is extremely well finished; it is satin brushed coated PVD with very smooth finish, I really like it; it is very well done beyond the price point. The version I got has the Miyota quartz movement and non luminous dial, but Rebel 2 which is currently on kickstarter is having Swiss Ronda, luminous hands, dial markers and logo. 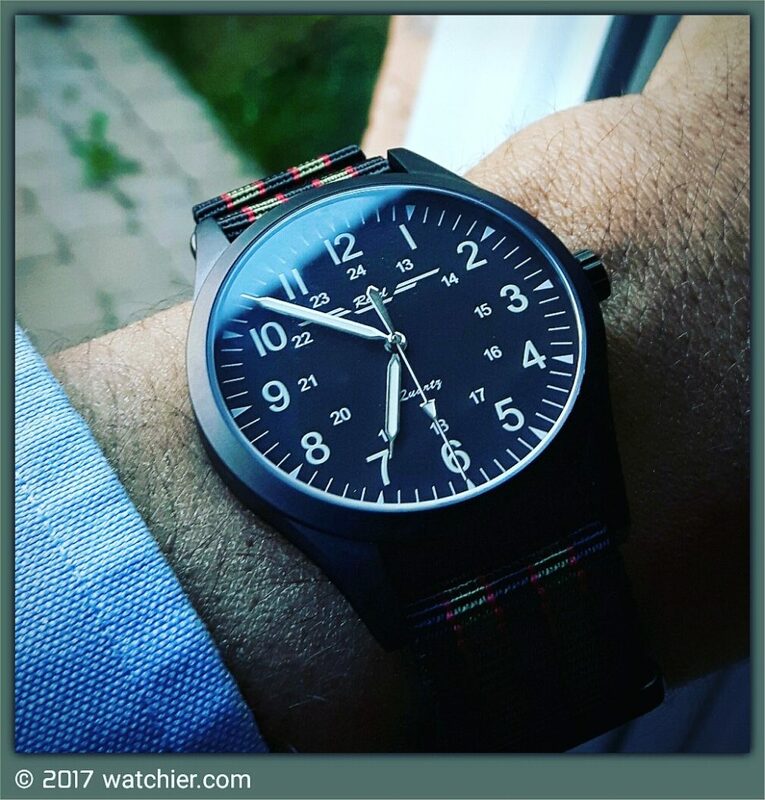 If you are after a quartz, grab n’ go, nicely done, affordable, pilot watch, then this one might be for you.